Oh my, between losing my iPhone and searching for hours to find it, homeschooling, shopping, writing my missionary son, baking cookies for the neighbors, going to a “Journey to Bethlehem” simulation, mentoring, and having a Christmas party for our homeschool group, I have not had any time to blog! Thank you icloud.com with the “find my iphone” feature and an honest little girl who found it on the side of the road and called me! (long story I will resist going into) I am feeling the effects of not blogging in over a week! Whenever I go too long between blog posts I start feeling clogged up and depressed. I have all these great ideas bursting forth to share all day every day! You don’t know how I have to restrain myself to discipline to stick to my homeschooling, motherly, and good neighbor duties! My big college kids are in town and off taking the littles Christmas shopping, so, yay, I can actually blog today! First of all, if you haven’t been counting down to Christmas using the #lighttheworld initiative from the Church of Jesus Christ of Latter-day Saints, I encourage you to do so. The kids at home and I watch the video every morning and then I read the scripture and the suggested ideas that go with each challenge of service. My long-time Veggie Gal friend, Michelle W., combines this new tradition with her Elf on the Shelf. Every day she puts her elf, Markle, in a scenario in her house that shows Markle doing the thing that Jesus did that matches what the #lighttheworld challenge is. So she has had Markle doing things like family history research using familysearch.org, praying, singing hymns, visiting lonely toys, or taking care of sick stuffed animals or feeding them. So cute! Seeing her posts on Facebook every day with Markle following in the Savior’s example sure brings joy and light to my life! Maybe next year I will get an elf and do the same thing. I just love the #lighttheworld campaign, it is truly a way to stretch out the Christmas season and follow in the Savior’s path. OK…so changing topics…every year I love bringing out my Christmas picture books and chapter books. I also get tons more from the library. Some years I have gone so far as to wrap the books up and have a child unwrap one a day as part of an Advent. OK, hardly ever…maybe one or two years long ago I bribed my college-attending daughter to do it, haha! This year I again just don’t choose to have the energy to do that so we just read whatever book my 7 year old picks out from my Christmas picture books. This book pictured above is is in my personal collection thanks to my amazing brother-in-law who gave it to us. He wanted to capture and share the nostalgia of his childhood that he had with my brother and the other 7 siblings. So he bought a copy of this book for each sibling as a Christmas gift. They had a similar Richard Scarry book growing up, which included a darling story about grandfather monkey and yellow mittens. 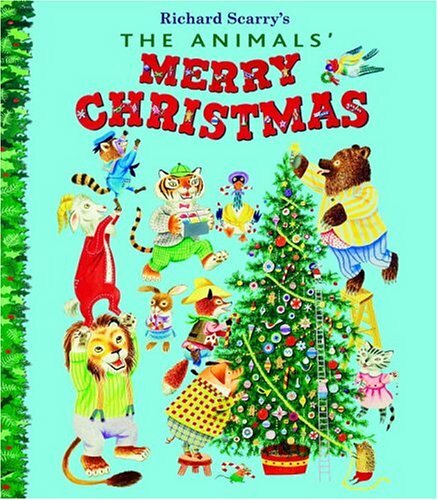 Unfortunately this collection of Richard Scarry animal stories doesn’t have that particular story but it has a bunch of stories about animals having Christmas adventures with Richard Scarry’s inimitable, whimsical illustrations. My favorite is the story of the goat who played Santa Claus. So fun! Here is a list that I’ve compiled over the years. I got a new list from Sarah Mackenzie over here and found some new favorites. 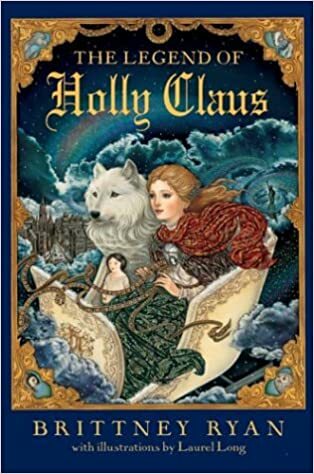 For chapter books, which I read when the kids are doing dishes (which we have been doing a lot of since the automatic dishwasher was broken for over a month) I am focusing on four specific books pictured in this blog post for our monthly reading: Holly Claus, Christmas Jars, and The Great Little Madison. Then in the car when we do errands and shopping we are listening to Skipping Christmas on CD. I just recently learned that that is one of Andrew Pudewa’s favorite read-alouds. (Andrew is the founder and owner of iew.com.) I read the book years ago and absolutely adored it! 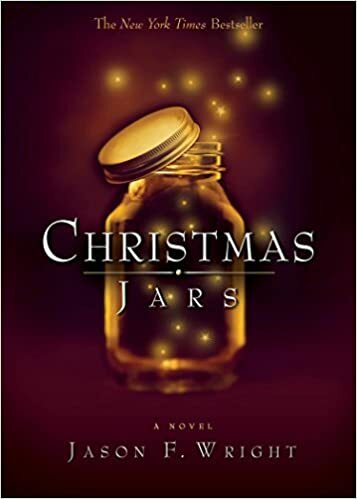 I have to confess, I have had the same thought as the main character, “Can we just skip Christmas this year? !” That’s my practicality coming out. This book helped me see why not. I love Christmas as much as the next Christian but sometimes I just want to save money and time and have a quick acknowledgement of the Savior’s birth without all the fanfare.) 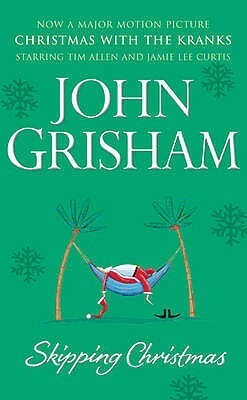 It’s by John Grisham, master storyteller. It was made into a movie but I agree with Andrew that you can skip the movie, it’s not nearly as funny or as good as the book. OK, so I know a book about Madison is not a Christmas book, but for our school theme for our Mastering Knighthood club this month we are learning about James Madison because he was an example of seeking knowledge. That’s why I am reading The Great Little Madison to my 7 and 12 year old boys. It’s great to learn about how James was so humble and servant minded in learning all he could about what makes good government so he could help start our nation’s government with limited powers. My 15 year old son and 10 year old girl gets to listen in. Her girls’ club is learning about Lizzie Velasquez but the book hasn’t come through yet from interlibrary loan. Anyway, I hope you get some good ideas for what to read from these lists and suggestions I have shared. Just remember, you don’t have to finish any of the books by Christmas, just keep reading all through January to brighten up those blah days. Merry Christmas!